Kyle Lauletta is an American professional football player who plays in the National Football League (NFL). As of 2018, Kyle Lauletta currently plays for the New York Giants as their quarterback. He played college football for the University of Richmond. As a quarterback, Kyle Lauletta reportedly earns around $747,000 as his yearly salary from New York Giants. Further, Kyle Lauletta has an estimated net worth of over $1 million. Kyle Lauletta was born on November 27, 1995, in Exton, Pennsylvania to parents, Joe Lauletta and Kim Lauletta. As per his nationality, he is American and belongs to White ethnic group. Further, his star sign is Sagittarius. He has three siblings; 2 brothers named Trey Lauletta and Bryce Lauletta, and a sister named Brooke Lauletta. Family. A bond that will never be broken. Happy Easter! Kyle Lauletta attended Downingtown High School in Downingtown, Pennsylvania where he played for his high school football team. After completing high school, Kyle Lauletta enrolled at the University of Richmond and played for the University of Richmond. Kyle Lauletta played at Richmond from 2013 to 2017. During his early career, he threw for a school-record 10,465 yards and 73 touchdowns and was further invited to play in the 2018 Senior Bowl, in which he threw for 198 yards and three touchdowns. Ultimately, he was named the game's MVP. Kyle Lauletta was selected by the New York Giants in the fourth round (108th overall) of the 2018 NFL Draft. In October 2018, Lauletta was arrested in Weehawken, New Jersey, after being pulled over in his Jaguar on the way to Giants team practice and was charged with eluding police, a third-degree crime; obstructing the administration of law and resisting arrest. 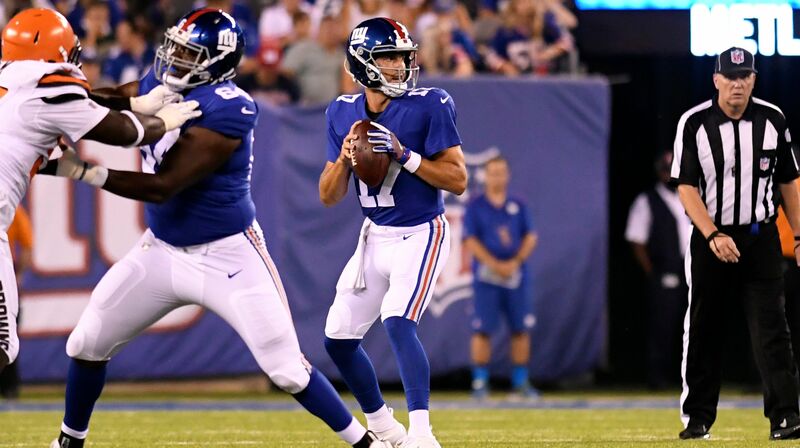 Kyle Lauletta made his first NFL debut on December 9 in relief of Eli Manning in a 40-16 victory against the Washington Redskins. He threw an interception to Mason Foster in the 4th quarter and a passer rating of 0. Kyle Lauletta hasn't revealed anything regarding his personal life. Currently, he is in his early twenties and possibly single and unmarried. There isn't any rumor of him dating anyone or being in a relationship with anyone. Even after stalking through his social media pages, there isn't a single post related to his dating affairs. His Instagram posts show that he is currently more focused on his career rather than having a relationship. As of 2018, Kyle Lauletta has an estimated net worth of over $1 million. Further, the NFL player has an average salary of $747,000 annually. Kyle Lauletta signed a 4-year contract worth $3,167,700 in 2018 with the annual average salary of $791,925. His salary for the 2018 season is reported to be $656,925 but will earn $1,187,700 in total including bonus and incentives. Lauletta will earn $570,000 in 2019. He has so far made the career earnings of $1,187,700. Kyle Lauletta is not only a world-class athlete but also has a very attractive individual. The famous NFL star is 6 feet 3 inches in height and weighs around 101 kg.